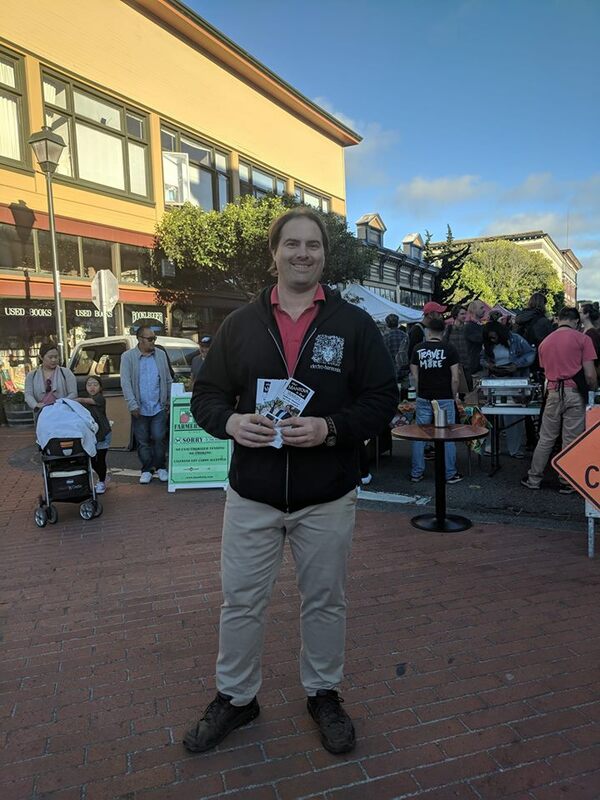 Campaigning at Friday Night Market! Eureka's Old Town has a unique summer tradition on Friday evenings--the night-time markets! Stretching from 2nd to 3rd streets on E Street, the event features live music, farmers market fare and a variety of other venders. The crowds are numerous as a mix of locals and tourists take part in the fun! I work at my music store almost everyday, so it's nice to take part in an event that is only two blocks away! Had a really good time seeing friends, meeting new people and campaigning for a massive change to Eureka's direction! There were many reasons that drew me toward a run for office, however the most compelling reason concerned the many long-time residents that are leaving Humboldt County. Over the last year in particular, I've heard from 3rd, 4th and even 5th generational Humboldt County families whose members are picking up their belongings and forever saying goodbye to our area. The high number of criminal drug addicts on our streets, lack of job opportunity, cost of living, etc,; all contribute to this sad situation. By correctly pinpointing the problems that need to be solved, and applying massive action, I believe we can turn Eureka around.